Actor Jussie Smollett was attacked in Chicago in what police are calling a "possible racially-charged assault and battery.” NBC 5's Ash-har Quraishi has the details. 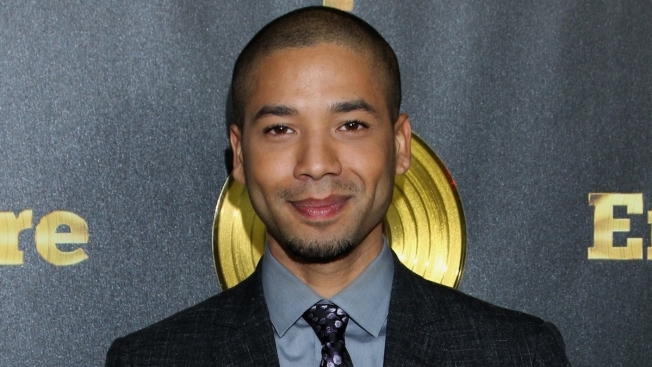 An actor from the hit television show "Empire" was beaten overnight in what police are investigating as a "possible racially-charged assault and battery" in Chicago, authorities said. The 36-year-old man was walking in the 300 block of North Lower Water Street when police say two people approached him and began yelling "racial and homophobic slurs." Police said the offenders began hitting him with their hands and poured an unknown chemical substance on him. At one point, one of the offenders also wrapped a rope around the man's neck, authorities said. "Given the severity of the allegations, we are taking this investigation very seriously and treating it as a possible hate crime," CPD spokesman Anthony Guglielmi said in a statement. "Detectives are currently working to gather video, identify potential witnesses and establish an investigative timeline." "IM SO ANGRY AND HURT ABOUT THIS! THIS MUST STOP!! SPREAD LOVE NOT HATE! PRAYERS UP TO U NEPHEW!" she tweeted. Guglielmi said a statement Tuesday night that detectives had expanded their search area in hopes of finding surveillance cameras that might have captured images of the alleged attackers.